Low vision is a term used when a patient's visual needs exceed his or her visual capabilities. Nearly 14 million Americans live with some form of visual impairment. The most common causes of low vision are macular degeneration, glaucoma, diabetes and cataracts. Over time patients may notice that it has grown more difficult to read small print, even while wearing glasses, or it may be harder to see the names of storefronts or street signs. Colors may not appear as bright, objects may lose contrast or everything might seem a little bit darker or dimmer than they used to be. People who have vision problems that cannot be resolved with the use of corrective lenses, a surgical procedure or medical treatment can benefit from low vision services. Even those who have experienced a major loss of vision due to disease or injury can regain a higher quality of life with low vision services. Every patient is unique. Just as there are many different causes for vision problems, there are also many different ways low vision can affect a person's life. By taking a thorough vision and medical history and asking some pertinent questions, an accurate assessment of the impact that low vision has on everyday life can be made. Vision rehabilitative exercises may be recommended, training in the use of visual aids and support groups specifically for those with low vision. The areas of visual difficulty and their causes can then be addressed, as well as the patient's goals and realistic expectations. Numerous options are available to help patients achieve the highest visual function possible. 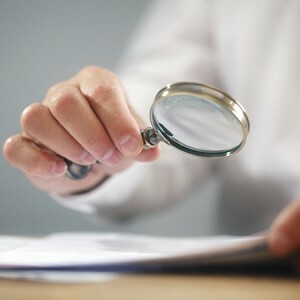 Magnifiers, which can be hand-held, worn around the neck or attached to eyewear to make reading small print items such as newspapers and restaurant menus more comfortable again. Some magnifiers provide multiple levels of magnification or feature a built-in light. Driving vision aids, such as special telescopic accessories and glare-reducing lenses that can make operating an automobile a possibility for some patients with vision problems. Computer vision aids include such items as keyboards with large print, text magnifiers and audio reader options. Electronic reading aids for use at home or portable versions to take along with to make small print much easier to see. Walking aids can provide stability and increase safety, which enhances freedom and mobility. Distance vision aids are specially designed eyewear that can help patients view the television, movies and events such as concerts or sports much more clearly. Bifocal, trifocal or prism glasses may be helpful by allowing the strongest parts of the eye to do the work visually. Independent living aids, such as clocks with large numbers, closed-circuit televisions, large-button telephones and glare-free, flexible lighting, are very convenient and useful for the accomplishment of everyday tasks. Therapeutic strategies that help enhance visual skills and make the most of the retained vision are also an option. Vision training can maximize the remaining eyesight a person has by teaching them to avoid looking through a problem spot, such as a macular hole. Instead, the training focuses on redirecting the eye to view objects from the side.